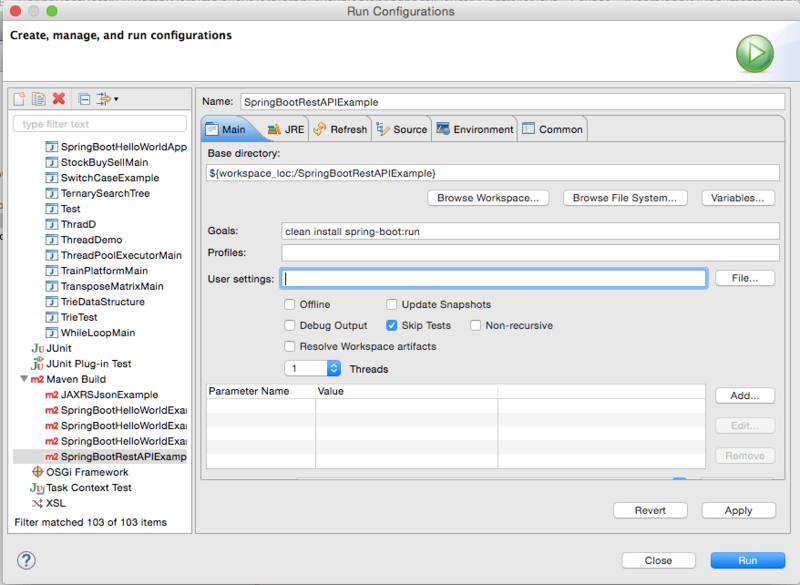 In this tutorial, we will see how to create Restful web services using Spring boot. There are not many differences between creating Rest API using Spring Rest JSON which we have already seen earlier. Spring Boot just makes easier to Rest API. You don’t have to provide any additional JSON dependency in the classpath. Spring Boot will take care of all the dependencies required to create Rest API. Here are steps to create a simple Spring boot rest example. Step 1: Create a dynamic web project using maven in eclipse named “SpringBootRestAPIExample”. 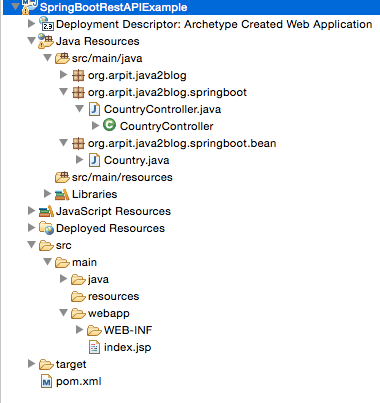 Step 3: Create a bean name “Country.java” in org.arpit.java2blog.springboot.bean. 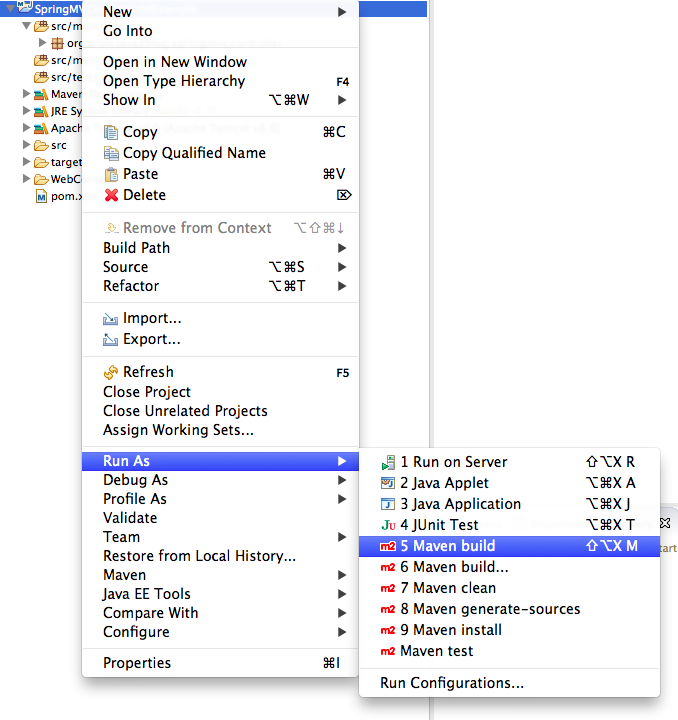 Step 6: It ‘s time to do maven build. Step 7: Provide goals as clean install (given below) and click on run. Step 8: Test your REST service under: “http://localhost:8080/countries”. Step 9: Now pass country id as parameter to url. That’s all about Spring boot rest example. If you find any issues, please comment.